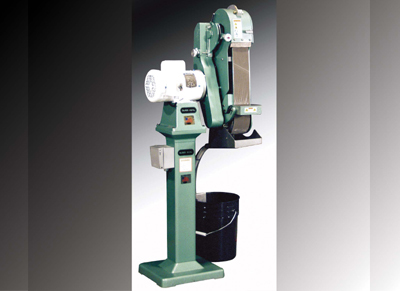 With diamond belts and the model 960-401 you will experience up to 100 times the life of expectancy of silicon carbide abrasives while attaining vastly superior results. Standard 60" belt 4" wide. Also available is 4000 FilterPAK, stainless steel tank with filter.